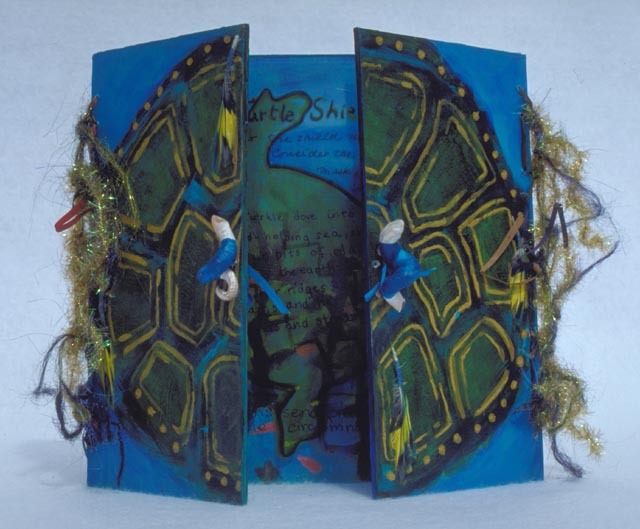 In 1999 visual artists Cameron Davis and Sally Linder came together with a small group of artists in the Vermont USA studio of Janet Fredericks to share their common sorrows about the state of the world. Out of their questioning and desire to promote global healing arose a collaborative idea. As artists they recognized that art is a process that promotes healing and that changes in awareness precede meaningful action. Establishing a temenos, a magical sacred circle where special rules apply and extraordinary events inevitably occur, each artist made an 8" (20.3cm) x 8" (20.3cm) x 2" (5cm) Temenos Book: a handmade book filled with pages of visual prayers/affirmations for global healing, peace, and gratitude. 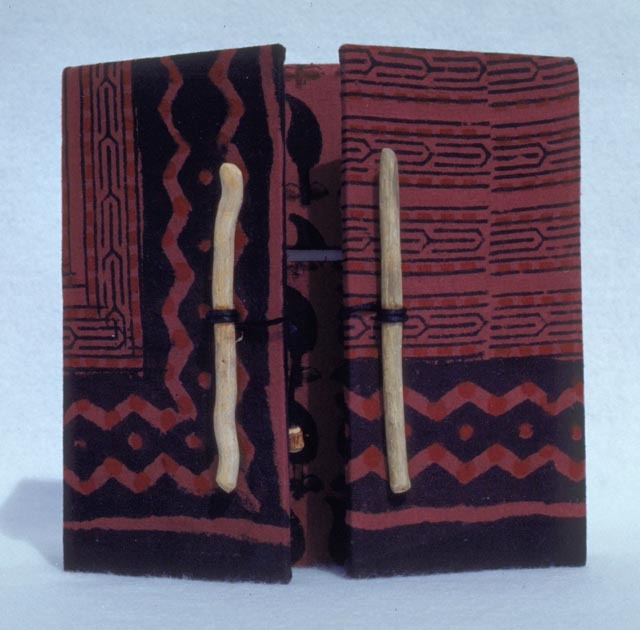 Davis and Linder went on to create the Temenos Project: Temenos Books and Earth Masks, combining artistic expression with the inspirational Earth Charter, an international peoples treaty calling for a just, sustainable, and peaceful global society. See www.earthcharter.org for more information on the Earth Charter. Utilizing the Temenos Project to introduce the Earth Charter to educational and private sectors, they guided individuals and groups in the creation of Temenos Books and Earth Masks, believing that the artistic process can inspire people to a deeper commitment to Earth and to the Earth Charter principles. 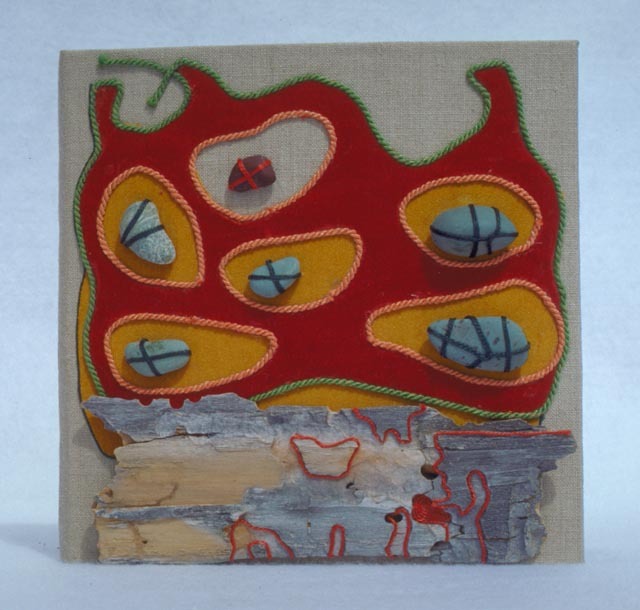 Over 5,000 Vermont artists, teachers, schoolchildren, university students and community members participated in the Temenos Project, making either books, or masks of Earth elements. Teachers involved in the project engaged their students in discussion of the Earth Charter principles, generating the kind of internal reflection that can lead to a change in attitudes, values, and behavior. On September 9, 2001, at Shelburne Farms in Vermont, over seventeen hundred participants at the event, for love of Earth, A Celebration of the Earth Charter, individually made a visual prayer/affirmation for Earth. 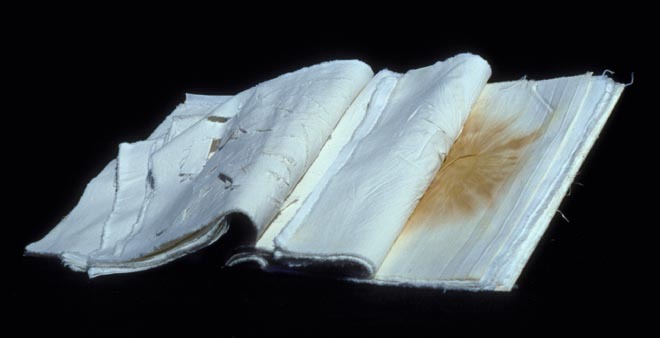 These Earth prayers were bound into multiple Temenos Books. 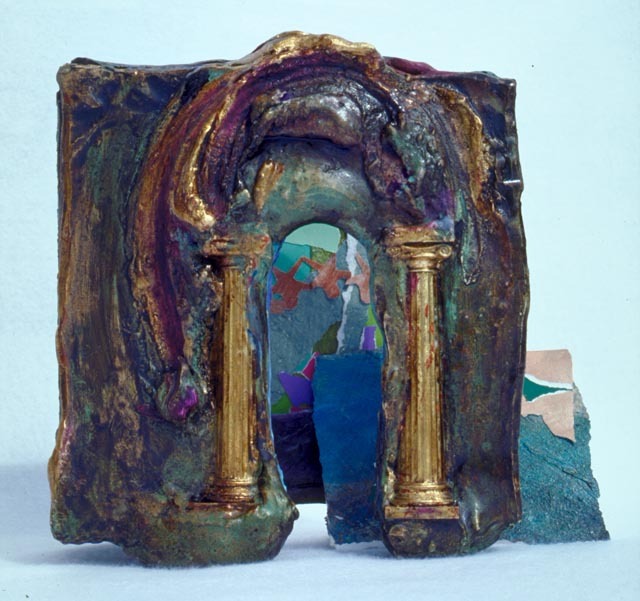 The Ark of Hope, a sculptural painting/vessel, designed and painted by Sally Linder, built by Kevin Jenness, and fabric lined by Beth Haggart, holds the Temenos Books and the Earth Charter handwritten on a piece of handmade papyrus. On September 11, 2001, in a spontaneous response to the terrorist attacks on New York City and Washington, DC, Sally Linder and friends began walking the Ark of Hope to New York City. Hundreds of supporters joined the walk which took 2 months and traveled through four states. Communities along the route were invited to create and add their own prayers and images for global healing, peace and gratitude to the Temenos Books. 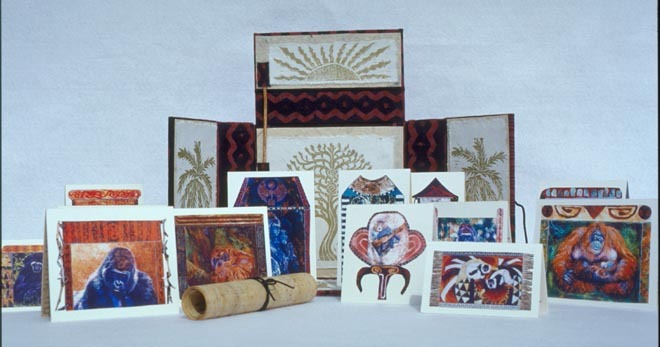 The Ark of Hope with the Temenos Books was exhibited at the United Nations in January-February 2002. Organizations, schools and universities, faith communities, museums, and conferences around the world have continued to create Temenos Books. Visit NEWS and EVENTS section on this website for the stories. Residing in the Ark of Hope there are over 15,000 peoples' images and words for global healing, peace and gratitude contained in hundreds of Temenos Books. 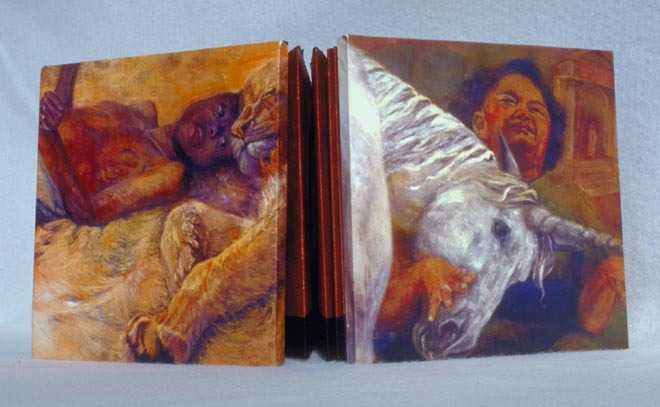 People are invited to create their own Temenos Book or Temenos Book page to add to the Ark. 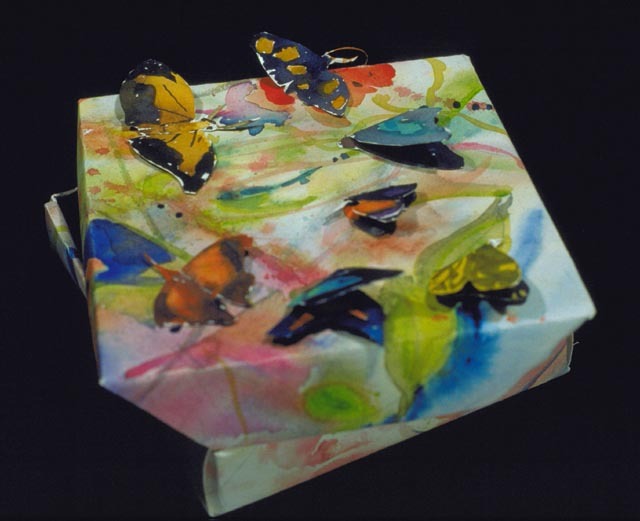 Click on TEMENOS BOOKMAKING for details and a suggested lesson plan. Visit CONTACT for mailing details.